Jesus has risen, and because of Him, we have hope for eternal life with our Heavenly Father. That’s so awesome to know when we’re surrounded by the chaos of this world. The verse I am sharing with you today is one that is dear to me. I’ve definitely written this one on my heart, and I access its promise over and over. Have you ever been in a situation where you weren’t sure what to ask God for? I’ve been there many times: at the bedside of a sick friend or family member, during a crisis at work, during financial difficulties, during times of extreme fatigue, when I wasn’t sure I could continue on the same path that I was traveling on, when my strength was failing, when I was diagnosed with breast cancer, when I didn’t know which road to travel…. The list goes on and on. I would guess that life has brought you many similar situations. 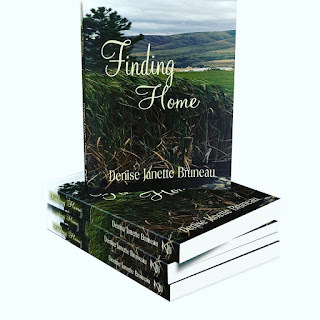 Perhaps, you wondered about a promotion, or when that pregnancy test would be positive, or when you wouldn’t miscarry again, or if that adoption would go through, or if your marriage would survive. There are so many difficulties we face in this life. The thing is, we know to expect them. It’s taken me a long time to really get that. When these troubles come along, I sometimes find myself not knowing what to do. I pray, but I’m not sure what to ask for. I just know I need help, and I usually need it fast. Though it’s taken me years to understand, I’ve discovered one of God’s many gifts to us. 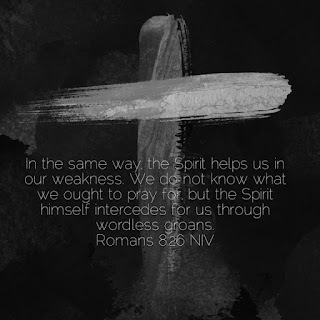 As the verse above says, “the Spirit himself intercedes for us.” Not only does he go to God for us, but he intercedes “with wordless groans.” That’s an amazing picture in my mind. The Holy Spirit takes our pain, our yearnings, and our needs and translates those emotions of the heart to our Heavenly Father. That image of the Holy Spirit is yet another way that God demonstrates His beautiful love for us. Next time you find yourself in a bind, and you’re hurting, afraid, or worried, take those emotions to God. Ask the Holy Spirit to intercede for you to pray for what you need. God always comes through for us in His timing and in His way. We just have to ask. Having the Holy Spirit go to God for us is an incredible gift!